Camp Ulven (Wolf) near Bergen, Norway. Motor Torpedoboat 345, taken prisoner after battle and executed here at Camp Ulven 30 July 1943." 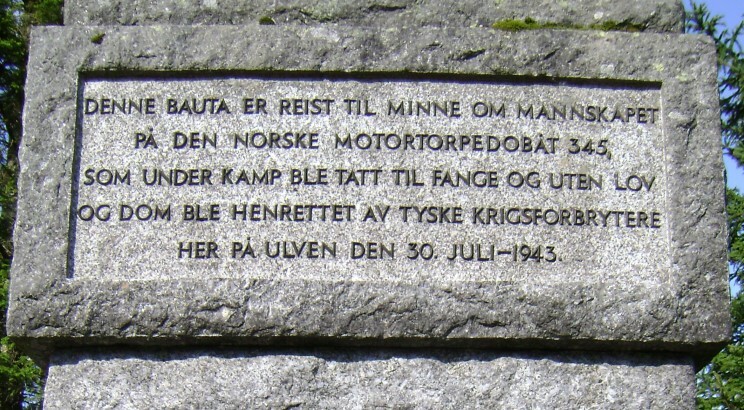 Close-up of the plaque listing the names of those executed by the Germans.